Who said keeping hens is easy? I’d like to say that Ruby and Nellie, my two new ex-battery hens have settled in happily, but I can’t. My previous experience of introducing new hens into my established flock, was when dear Buffy (rip) and Polly came four or five years ago. 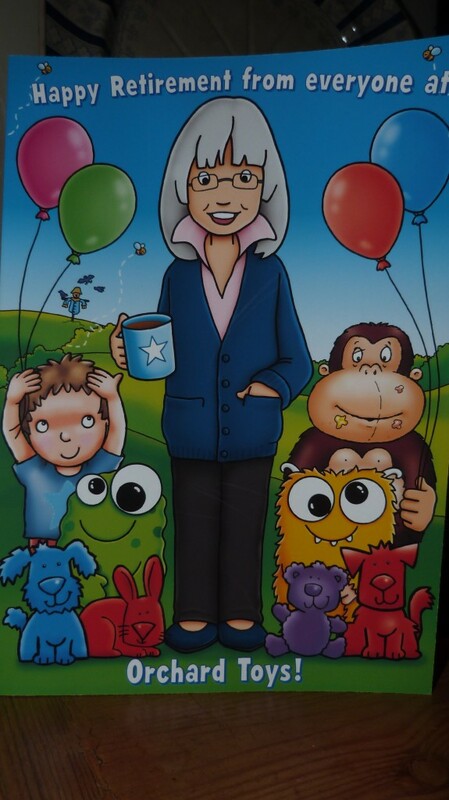 At that time the alpha hen was Hettie who, although she was boss, was a very kind hen. Everything went very smoothly and they were accepted into the flock only a few days after their arrival. When dear Hettie ‘fell off her perch’ Polly, the Light Sussex took over as alpha hen, or ‘top dog’ ! I’m afraid I can’t say that she is a kind hen. 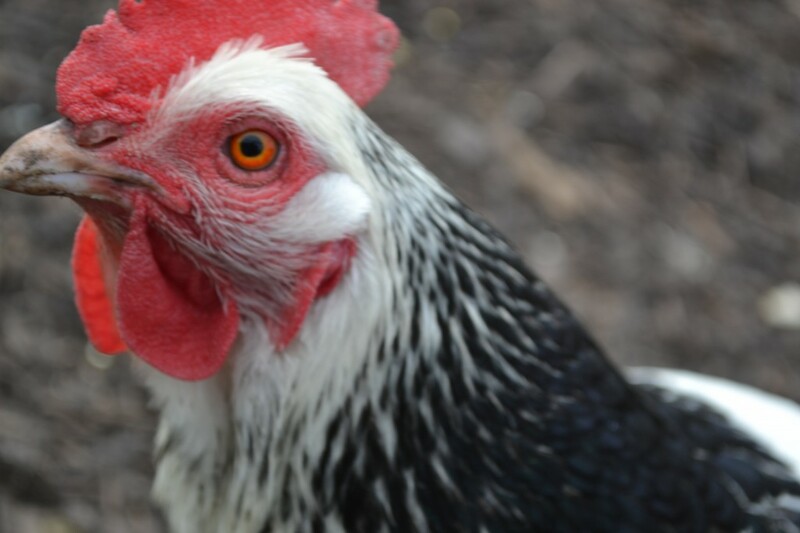 She is a busy, neurotic, precocious hen that is bossy,and really ‘in your face’. She is the only hen I have had that squats when you wave your hand over her. This squatting is an invitation to the cockerel to mount her! She must be more highly sexed, maybe than the other hens. For this reason, when she gets too hyper she tries to mount the other hens. Poor Buffy, was always the one that she picked on. Buffy was at the bottom of the pecking order, but she was a big hen and could take the weight of a mature Light Sussex, which is a large hen. Polly only did it now and again, so I didn’t perceive it to be a problem. Poor Ruby, the larger of my two ex-batts, but still only half the size of Polly, is the one that Polly keeps chasing. If she corners her, she jumps on her. So far Ruby seems unscathed, no loss of feathers, nevertheless a frightening experience! I am sure that if I had a cockerel, he would sort Polly out, but that would be yet another mouth to feed. As it is, I now have five hens and Polly is the only one laying. Needless to say that Ruby and Nellie are still going to bed each night in their little broody coop that is inside the hens’ run. They do go in and out of the main coop during the day, just not at night. Yet. Oh dear, why do I always make my life more complicated? I just want an easy life! 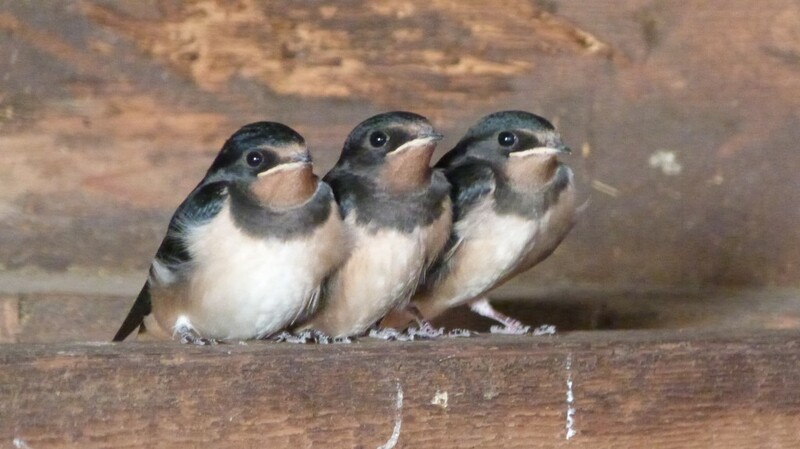 On a more positive note, this week more swallows arrived, so the sky around the stables is full of them swooping, circling and chattering! Such a lovely sight.